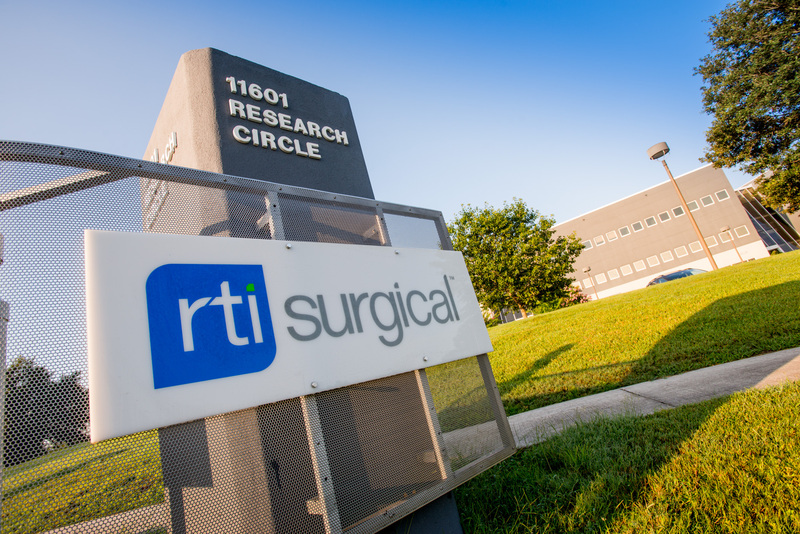 Christopher R. Sweeney, Thomas A. McEachin Join RTI Surgical Board Of Directors - RTI Surgical Holdings, Inc.
ALACHUA, Fla. (Oct. 26, 2015) – RTI Surgical Inc. (RTI) (Nasdaq: RTIX), a global surgical implant company, announced today that Christopher R. Sweeney, a partner with Water Street Healthcare Partners, a strategic investor focused exclusively on the health care industry, has joined the company’s board of directors as a designee of its preferred shareholder, Water Street, effective immediately. Additionally, the company announced that Thomas A. McEachin, formerly vice president and group chief financial officer of Covidien Surgical Solutions, the largest division of Covidien, plc, which is now part of Medtronic, has been appointed to the company’s board of directors effective Dec. 3, 2015. McEachin will be eligible for election for a full term at the 2016 annual meeting. Sweeney has invested in the health care industry for his entire career. During his tenure at Water Street, he has been instrumental in building a leading group of companies that specialize in designing, manufacturing and distributing a range of diagnostic devices and medical products. Prior to founding Water Street, Sweeney was a principal with Cleary & Oxford, a middle-market health care investment banking firm. In this role, he represented numerous companies, including Johnson & Johnson, Kimberly-Clark, Medex and B. Braun. Sweeney currently also serves on the boards of directors of Breg, a premier provider of sports medicine products and services, and Sarnova, the nation’s leading specialty distributor of health care products to the emergency medical services and acute care markets. He received bachelor’s degrees in economics and history from Williams College. Sweeney’s addition to the board coincides with the departure of Ned H. Villers, a partner with Water Street who has resigned from the board due to other commitments. Villers had served on the company’s board since July 2013. McEachin is an executive whose career spans four decades of financial leadership across multiple technology-oriented industries, including medical devices, aerospace and information systems. During his tenure at Covidien Surgical Solutions, he transformed the finance team into a high-performance group, providing both strategic counsel and financial discipline to the organization. He helped acquire and integrate several companies as part of a technology diversification strategy. McEachin retired from Covidien in April 2012. Prior to Covidien, McEachin held executive financial positions at United Technologies and its affiliates, Digital Equipment and Xerox. McEachin has an M.B.A. from Stanford University’s Graduate School of Business and a B.Sc. in Operations Research and Industrial Engineering from New York University’s School of Engineering & Science. He also completed the Advanced Management Program at the Wharton School at the University of Pennsylvania. He is a trustee of the Wadsworth Atheneum, the oldest public art institution in the United States and serves on their executive, finance and audit committees. He is also on the board of directors of the Connecticut Science Center, a member of their executive committee and chair of the audit committee. McEachin’s addition to the board coincides with the retirement of Roy D. Crowninshield, PhD from the company’s board of directors, which will be effective on Dec. 2, 2015. Dr. Crowninshield has served on the company’s board since February 2008. The departures and additions to the board keeps the total number of directors at nine.